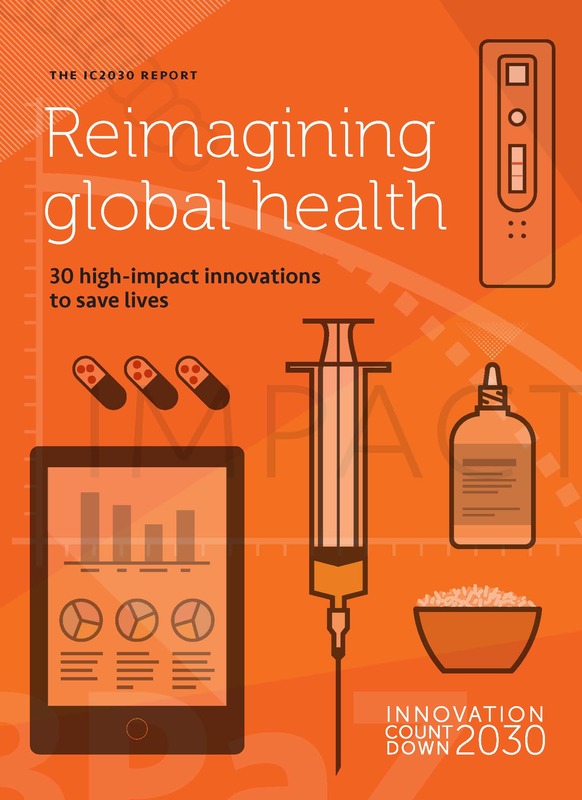 Reimagining Global Health, the inaugural report of the Innovation Countdown 2030 initiative, highlights 30 lifesaving innovations with great promise to accelerate that progress over the next 15 years to reach the proposed health targets of the UN Sustainable Development Goals (SDGs). 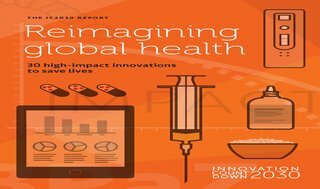 The report also features commentaries by leading health, business, and technology experts on the essential role of innovation in driving health impact. The report is the result of a yearlong effort to identify, evaluate, and showcase game-changing health technologies and ideas. We sought innovations from across sectors, disciplines, and borders, crowdsourcing hundreds of ideas from developers, entrepreneurs, and experts. Dozens of independent health experts then evaluated and ranked them, selecting the 30 innovations featured here.